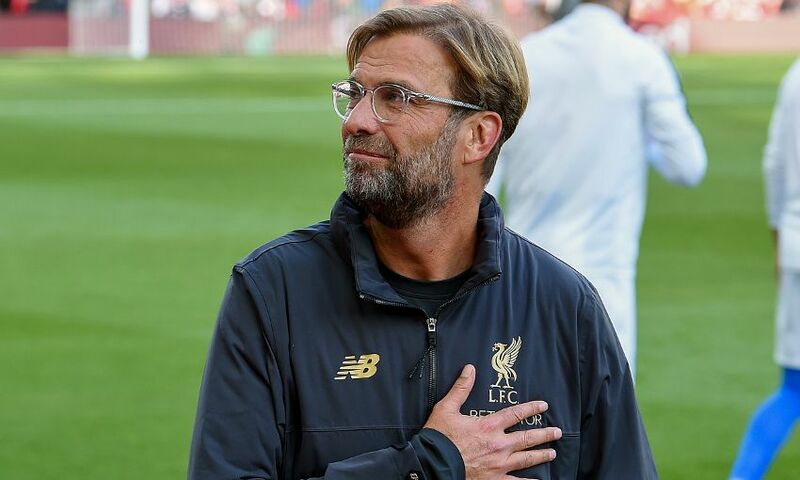 Jürgen Klopp is confident Liverpool’s strength in depth will allow them to tackle their forthcoming fixture schedule at the highest level as they prepare to get their Champions League and Carabao Cup campaigns under way in September. The Reds take on Leicester City at the King Power Stadium tomorrow in the final game ahead of the two-week international break. Once they return to action versus Tottenham Hotspur at Wembley on September 15, they face a run of seven matches in 23 days, including Champions League head-to-heads with Paris Saint-Germain and Napoli, as well as Premier League encounters against Chelsea and Manchester City. In addition, Chelsea will also visit Anfield in the third round of the League Cup following Thursday evening’s draw. “Today it [squad depth] is good, but it needs to stay good,” Klopp told journalists at Melwood on Friday morning, when asked whether he felt he had the number of players at his disposal to successfully tackle their upcoming fixture list. “It was always clear that August would be a bit different because we’ve started three times in a row with the same starting line-up. That will not happen too often from now on in the future, it’s probably not possible. “That’s why we did it [strengthened the squad] - we didn’t do it for August, we did it for pretty much all the other months of the season. For the moment it is absolutely good, but we have to prove it as well on the pitch. “It is not about knowing who is available, it’s about the guy who is available can perform at the highest level – that’s very important. We try to help with all we can - with training, meetings and stuff like that - but in the end the boys have to deliver. “I thought after pre-season it looked really good, now all the players are all four weeks further [along] and that means they are now in a much better situation than three weeks ago when season started because of the physical things. Klopp has elected to name the same starting line-up for Liverpool’s opening three Premier League matches of 2018-19. However, the manager insists the possibility of a player forcing their way into the reckoning by performance level in training is always there. “When you win a game in a week like this – Saturday to Saturday – when we have at least three very intense sessions, I am pretty open,” he said. “I am pretty open to everyone; I want to see who shows me the most and who shows me that he’s so desperate to play. “Of course, there is a little advantage for the line-up last week that won the game, but that’s the only thing. I am really open to it, it’s the best way that nobody has a weaker week from the starting line-up last week, but then maybe somebody is really showing up so that’s one part. Then it’s what fits for the opponent, what is needed for the opponent. “It’s not that I have closed the book already directly after the game and thought, ‘OK, they won again so they will play again if nothing happens’ – no, there are a lot of possibilities through a normal week. It is much more difficult when you play three times a week because then you have not that much training and I have to guess a bit more. But in this time, in this week especially, I saw a lot.